WWF’s (World Wide Fund) landmark movement, Earth Hour is set to once again tie millions of people around the world to illustrate their commitment to the planet. As our one shared home faces the twofold challenge of climate change and rapidly declining biodiversity, the world’s largest grassroots movement for the environment aims to mobilise individuals, businesses and governments to be a part of the conversation and solutions needed to build a healthy, sustainable future – and planet – for all. The #Connect2Earth campaign aims to raise awareness on the important role of nature in our lives and the benefits nature provides, from good food, clean air, fresh water, to so much more. Switch off your lights at 8 PM on 30 March 2019 and leave off for 1 hour. Click here to view Earth Hour events taking place near you. 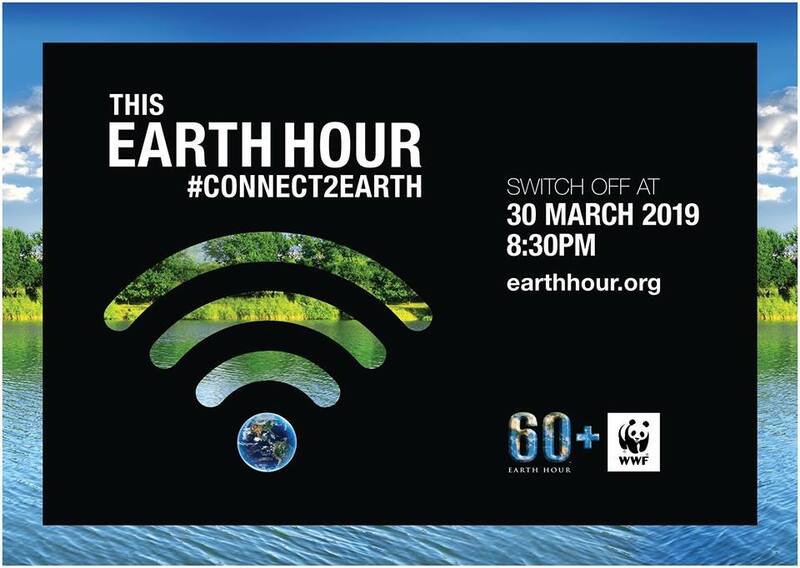 More information about Earth Hour available at https://www.earthhour.org/.